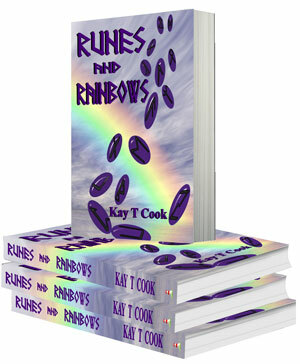 I have written this book to share Runes and Rainbows. This system emerged from my love of runes and my public work over more than twenty years with mediumship, chakra and energy readings. Blending informative illustrations and charts, example readings and knowledge from the author’s many years of practical experience, this book will guide the reader through Runes and Rainbows, an integrated system for insight and empowerment. There are four steps to the Runes and Rainbows process which are clearly outlined in the book. The reader will learn how to integrate information sourced from the chakras of the person being read for and the universal energies. However, if you just want to read the runes this book will help you to give an exceptionally accurate and detailed reading. I have written Runes and Rainbows from the perspective of a spiritualist medium who has an interest in shamanism. Spiritual evolution and personal responsibility are discussed. A chapter on Major Soul Growth Projects is also included. Runes and Rainbows is available from Amazon and some bookshops.